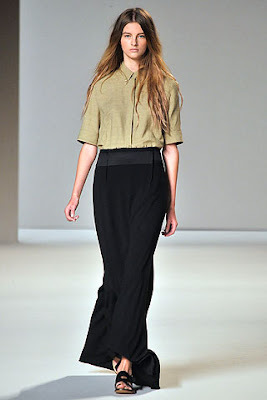 For Spring 2010, maxi skirts have definitely made their presence felt on the runways, with several designers showing just how versatile they can be by working them into different looks. 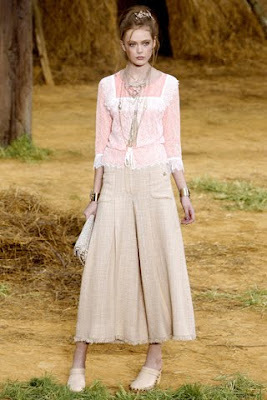 From mixing neutral separates at Chloé, to khaki green military trends at MaxMara, the silhouette was kept clean and simple. 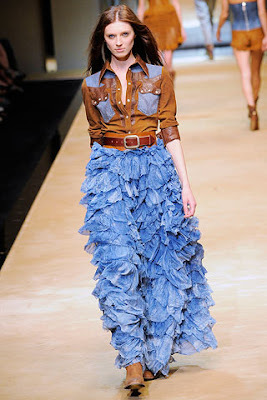 D&G went for a wild West theme with ruffled skirts paired with denim shirts, whilst Chanel's rustic outfits combined tweed, lace and chiffon. 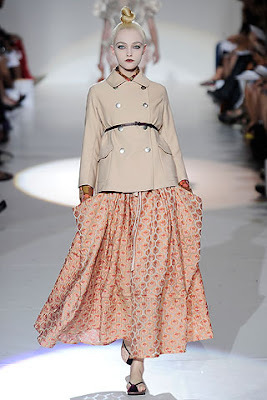 Marc Jacobs opted for colour and paired printed jacquard skirts with short jackets. Which are your favourite looks? 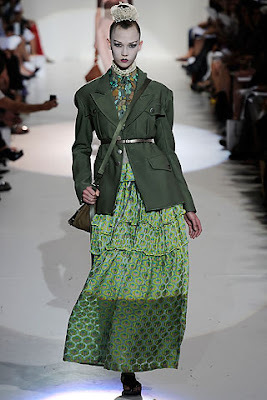 Love the first all in white by Chloe, and the last attire in shades of green, by Marc Jacobs. 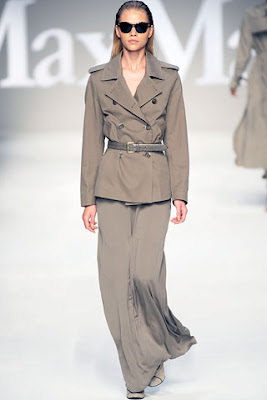 loving the max mara ones! I am definately going to be wearing these!!! I LOVE the MaxMara designs, expecially the one on the right, the Chanel ones are cute, and the Marc Jacobs ones are gorgeous too! You give me such beautiful ideas! Definitely Chloe. For their clean cut designs.